When people ask me for recommendations about what to see and do in Israel, the region of the Sharon coastal plain does not tend to feature in my replies. 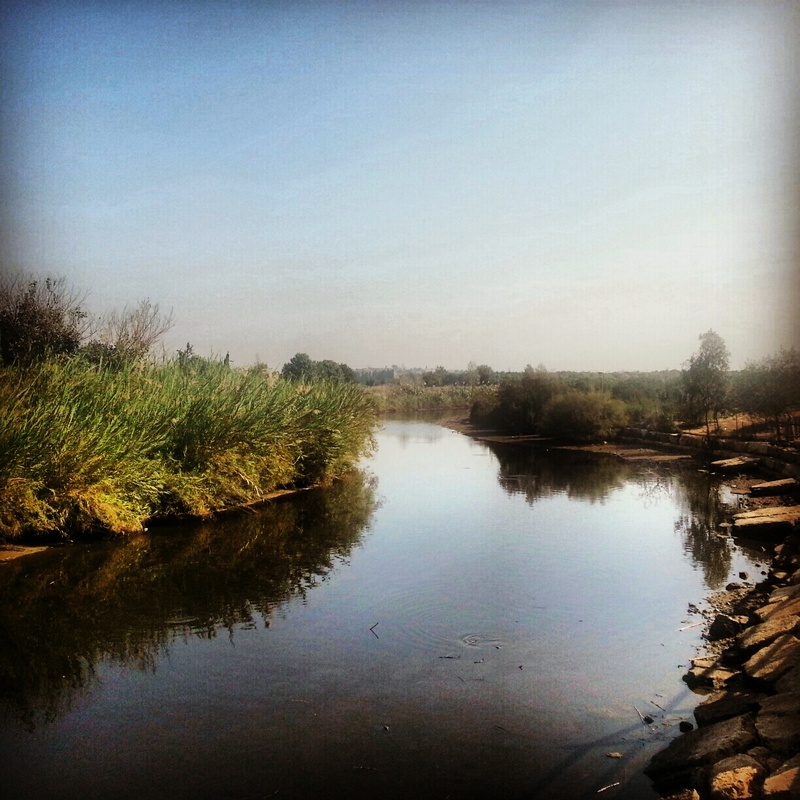 Stretching from the Taninim stream in the North to the Yarkon in the South, or in city terms from just North of Caesarea to the Northern border of Tel Aviv, it is a very important area for Israel. It has the highest concentration of inhabitants. It contains several cities of note, a lot of important agriculture and a plenty of history. But, with the exception of Caesarea, the famous Herodian port city, it does not contain a huge amount of stops on the regular tourist trail. It’s also part of the coastal plain, so it has some nice beaches and cliff tops, but is rather flat, which does not make for particularly exciting scenery. However, the guiding course covers everything, so we were to spend a day in the Sharon region. 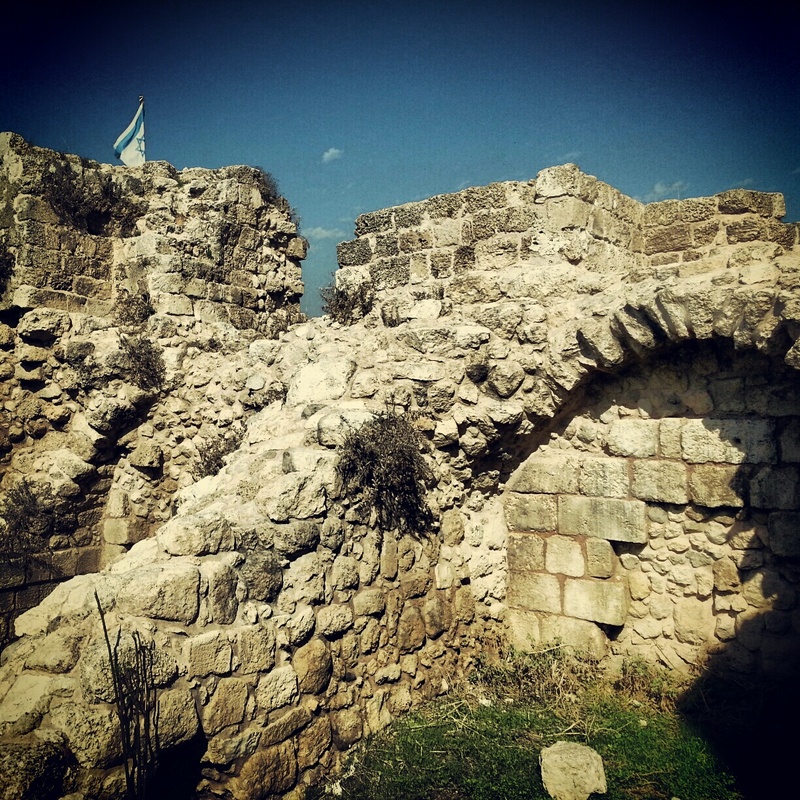 And I was pleasantly surprised by what we discovered; not necessarily enough to warrant a detour by a first time visitor to Israel, but plenty to interest the more seasoned traveller in search of something a little different. We began our day at a viewpoint in the small moshav of Tzur Natan, right next to the Green Line. Technically we were not in the Sharon, rather in the foothills of the Samarian mountains, but we did have a good view over the Sharon in all its flatness. Here we learned about the history of the region; the name Sharon is an Akkadian word meaning forest, and indeed until quite late in the Ottoman period the area was covered with forests. This, together with the large amounts of swamps (which attracter malarial mosquitoes) meant that in fact it was one of the least inhabited regions of the country. It was only when the Zionists began to successfully drain the swamps that people began to settle here in there masses, due to the proclivity of water and the ease of building on flat land. 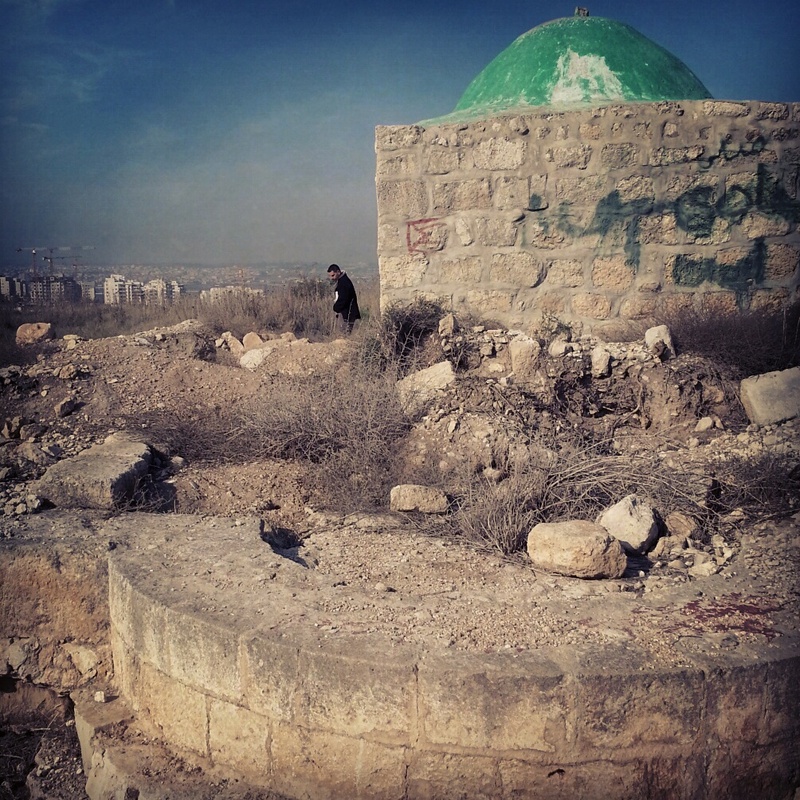 We moved on to the nearby Ottoman period tomb for the Sheikh Musharef, a local holy man. The tomb was built on top of a Samaritan synagogue (you can tell as it faces Shechem/Nablus, and not Jerusalem), from the 6th century. We could identify the mikve (ritual bath). We paused in the site to learn about the geology of the Sharon area; its formation, the types of rock etc. All useful background for the rest of the day. We descended to the coastal plain to the Kakun reserve. Here we paused by the memorial to the Alexandroni brigade who overcame the Iraqi army who had reached this point in the 1948 War of Independence. I find stories about the 48 war particularly interesting as the odds were so massively stacked against the nascent Israeli country. Daring and bravery, together with a significant chunk of good fortune, won the day. We then climbed the hill to the ruins of the Crusader fortress which used to stand at this point with an overview of two very important ancient roads: the Sea Road (Via Maris) which did not actually go along the sea shore, rather along the valley where you can now find route 6; and the road that ran from Caesarea to Shechem. We wandered around the ruins and admired the strength of the structure which had endured for so long. It was time for a hike. We were dropped off by the turtle park at the Alexander stream. We learned about the habits of these soft-shelled turtles which have been enabled to flourish in the stream thanks to an extensive programme to clean it from various pollutants which had been killing off the wildlife. The project is a joint project between Israel and the Palestinians, as the stream source lies in Palestinian controlled land, and it was even awarded a prize in Australia as a result of its great success in cleaning up the stream. Heart warming! We enjoyed a pleasant stroll down the stream, concluding at the Khirbet Samra ruins, where our guide illustrated how the building had passed through different peoples (Arabs, Turks, British and Israelis) through history through a remarkable feat of rapid costume changing which certainly made the story much more entertaining. Good inspiration for our future guiding experiences. Our bus met us at the hike’s end and we travelled north to the Cheftzi-ba agricultural farm. This land, just outside Hadera, was bought by an association called the Netaim (planters) at the turn of the 20th century. The idea was to make it into farmland and sell it to new immigrants who were interested in farming but didn’t want to start from scratch. 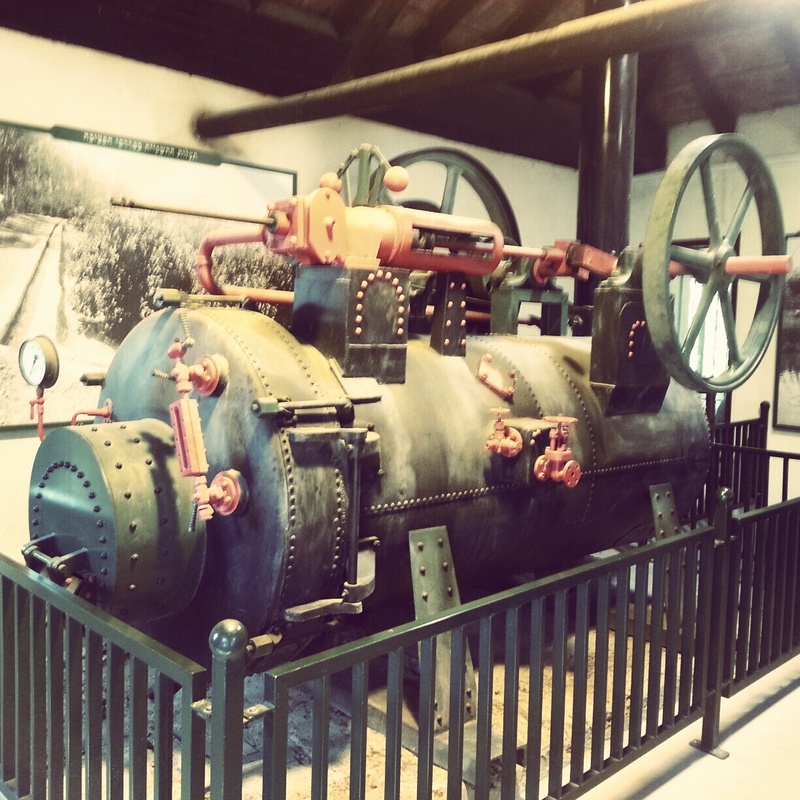 To water the fields, they had Israel’s first pump (steam powered) which drew water and pushed it around the farm. Sadly a poisonous cocktail of locusts and the outbreak of WWI led to the collapse of the enterprise. The farm is now run by the national electricity company who refurbished it, partly to make up for the massive power station located at Hadera, and you can visit the old buildings, watch a surprisingly interesting film (these tourist site films used to have very low production values, but are rapidly improving) about the farm’s history (subtitled in English) and, in migration season, view some of the 2 million (yes, million!) cormorants who pass through on their way from Sibera to warmer climes. Our penultimate stop took us back to ancient times as we toured the excavations at Apollonia (also known as Arsuf). Located next to Hertzliya Pituach, on the coast, this site has only been opened relatively recently for tourists. It contains the remains of a crusader fortress and also a very impressive Roman villa, together with some limited remains from the original Phoenician village where they manufactured glass along with the valuable argaman and techelet dyes. 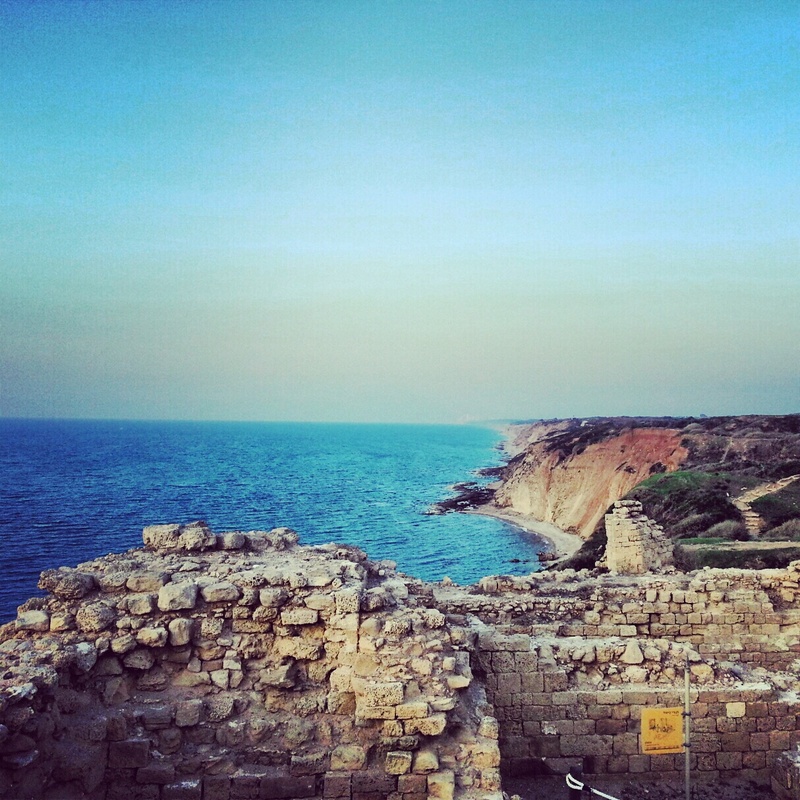 As if the archaeology was not interesting enough, the site commands wonderful views from a cliff top above the Mediterranean Sea; on a clear day Jaffa is visible in the South, Netanya in the North. We heard the story of the different generations of settlement in this place, together with the story of its violent destruction by the Baibars. Mind you, I’m sure the Crusaders would have been just as unpleasant to the Baibars, had they had half the chance. Given the proximity of this site to Tel Aviv (around 20 minutes drive), it’s definitely worth a short jump out of the city if one has a couple of hours free and wants to get a taste of ancient history from among the hustle and bustle of the modern metropolis. We concluded the day just a short drive away from Apollonia at the mosque built around the tomb of Sidna Ali, a great local leader of the 11th century; legend says that he could always tell the truth and people would come to him for judgement of disputes. Once he died he was buried here and to settle disputes people would come and walk towards a stone with their eyes closed. The first to touch the stone is the one who is telling the truth. 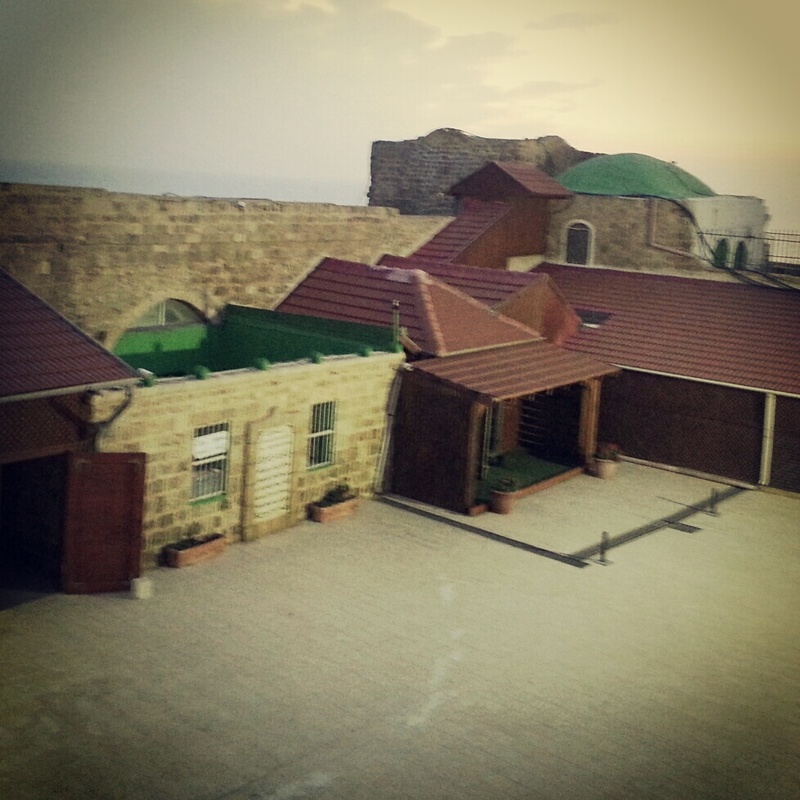 From this peaceful location we learned about the Mamluk policy of building holy pilgrimage sites along the coast to ensure a constant flow of pilgrims who would be able to keep an eye out for any future Crusader attack. 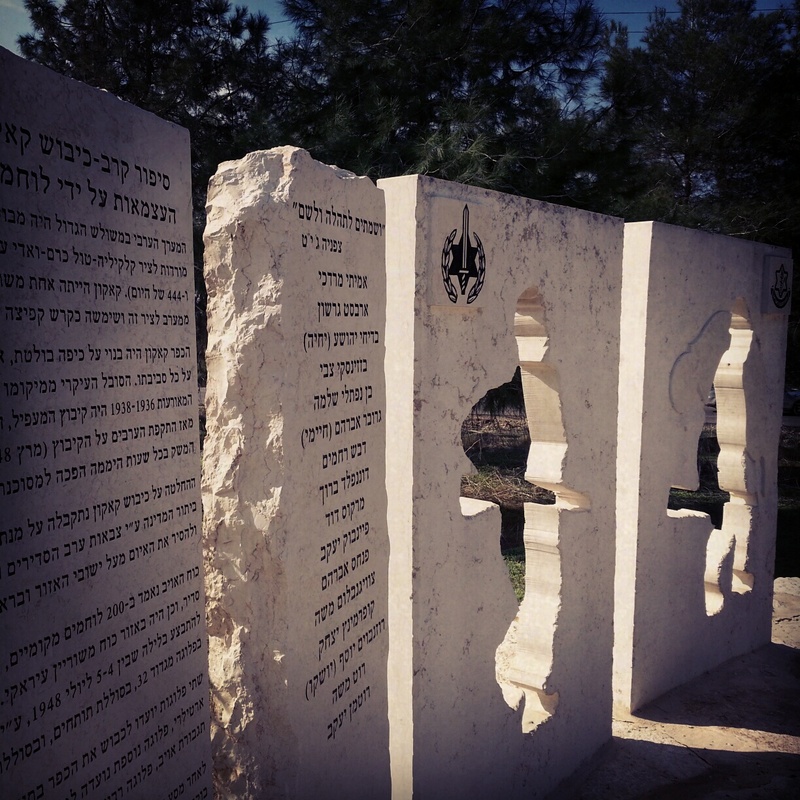 Whether or not Sidna Ali is buried here is up for discussion – there are two other sites in Israel which also claim the honour. The British banned Muslims from visiting this site as punishment for their rebellion in the 1930s, and it fell into disrepair. Recently, the Waqf (the Muslim religious authority here) petitioned the government for the land, and successfully took over the site and restored it. It really rather picturesque. So, it seems the Sharon was able to throw up a fair amount of positive surprises. Somewhat off the regular tourist trail, it is true, but with some sites that are well worth a visit.